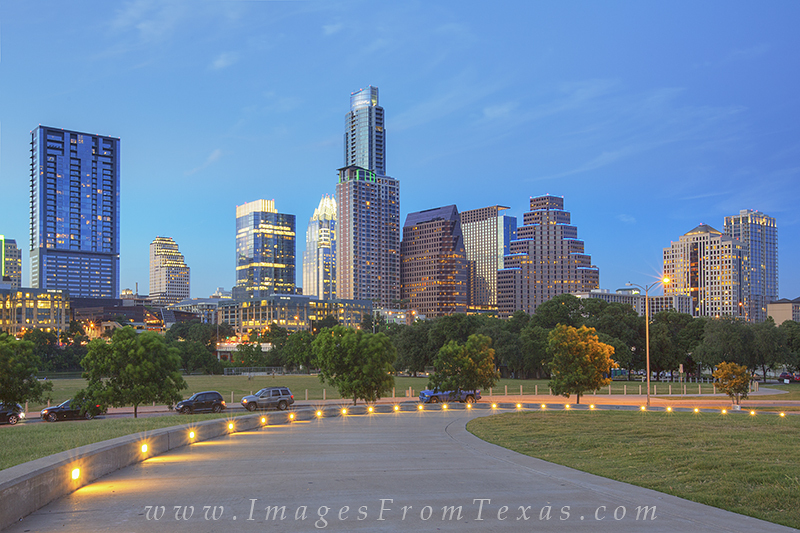 The sidewalk form the Long Center wraps around the front lawn, then you can cross the street to Ladybird Lake. The whole time, you have a great view of downtown Austin, Texas. This area is a favorite of local Austinites who enjoy the outdoors. Lots of running, biking, and watersports to go around for everyone. Photo © copyright by Rob Greebon.